This completely revised and updated eighth edition serves as the definitive text for courses in which the United Nations is either the focus or a central component. 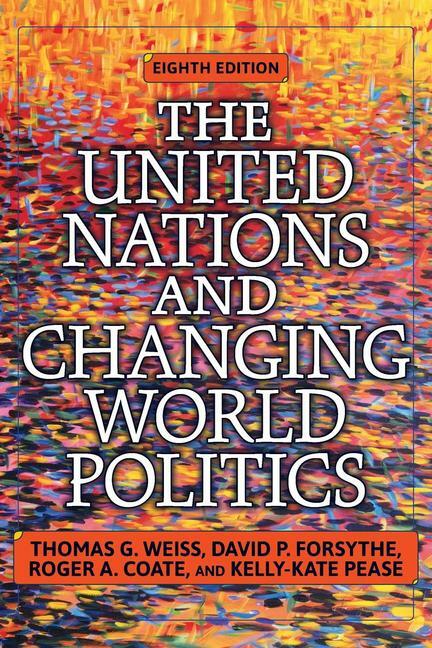 Built around three critical themes in international relations (peace and security, human rights and humanitarian affairs, and sustainable human development) the eighth edition of The United Nations and Changing World Politics guides students through the seven turbulent decades of UN politics. This new edition is fully revised to incorporate recent developments on the international stage, including new peace operations in Mali and the Central African Republic; ongoing UN efforts to manage the crises in Libya, Syria, and Iraq; the Iran Nuclear Deal; and the new Sustainable Development Goals. The authors discuss how international law frames the controversies at the UN and guides how the UN responds to violence and insecurity, gross violations of human rights, poverty, underdevelopment, and environmental degradation. Students of all levels will learn that the UN is a complex organization, comprised of three interactive entities that cooperate and also compete with each other to define and advance the UN's principles and purposes.